Net Neutrality has become a debatable issue in India. 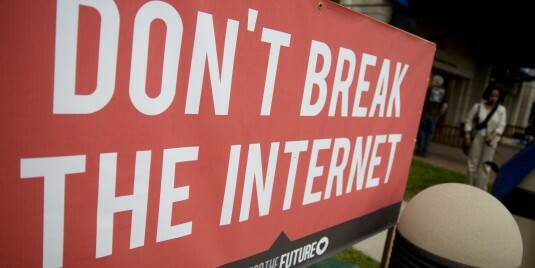 It is about demanding equal status, speed and access service granted to every website on internet. Basically, Net Neutrality ensures your freedom when you are accessing internet without restricting your browsing options. When the public heat regarding the issue can still be felt, TRAI made another damage which is beyond the level of any control. TRAI, Telecom Regulatory Authority Of India, has released the 10 lakh email- ids and their comments or mails recently that had the views and opinions of respective users. After making a mockery of users’ privacy and opening such a huge pool of email ids to spammers, here’s another laughable damage done by TRAI. TRAI, has also published a love letter that a man sent to his girlfriend. With all probability, the letter reached TRAI’s inbox by mistake. However, the love letter, which is now open to public has become a source of entertainment for internet audience. The letter that can be read ‘HERE’, has contents through which the man goes on to praise his girlfriend and also mention some private moments that they spent together. This for sure focuses on the fact that TRAI didn’t even bother to check the responses once before putting them up online. The Net Neutrality debate is rather a serious one, however, this seems to be a comic situation created by TRAI in the process. The letter already has gone viral and is shared by a large number of people all over social networking platforms.